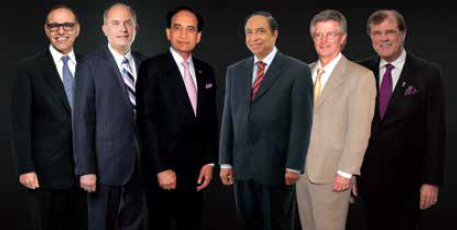 After four very successful World Tour Programs in 2008, 2010, 2012, and 2016, the International Federation of Head and Neck Oncologic Societies is again offering a global continuing medical education program featuring the most respected leaders in the field of head & neck surgery and oncology. This worldwide program will cover four locations. Future programs will cover other parts of the world. Nations are clustered into regions to offer easy access to as many individuals as possible at each session. The program will provide state-of-the-art knowledge and explore the frontiers of head and neck cancer diagnosis and treatment through introductory lectures, intense interactive discussions with regional specialists through case presentations, and demonstration of operative techniques through video sessions. Ample opportunity for discussion between the local faculty, attendees and the traveling faculty will be provided. © 2017 Taiwan Head and Neck Society (THNS). All Rights Reserved.